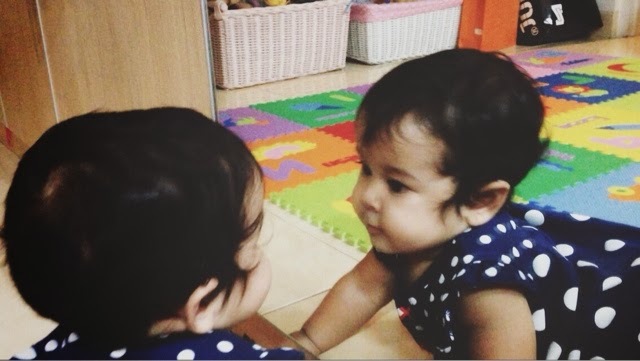 So last week Naaya was 10 months old and she is increasingly clever. 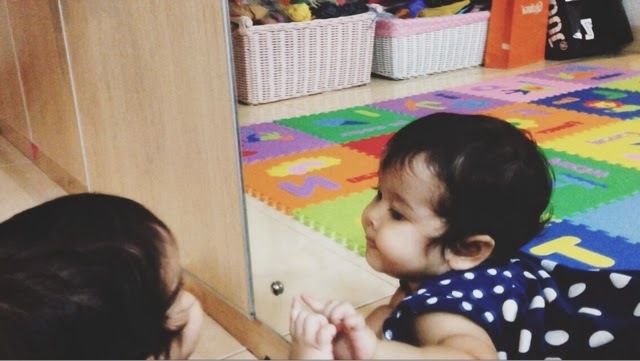 During our last play session she began to watching herself in front of the glass mirrored closet in our room and sliding open and closed it a bit. As usual Naya is very pleased with her new discovery and I am very nervous. 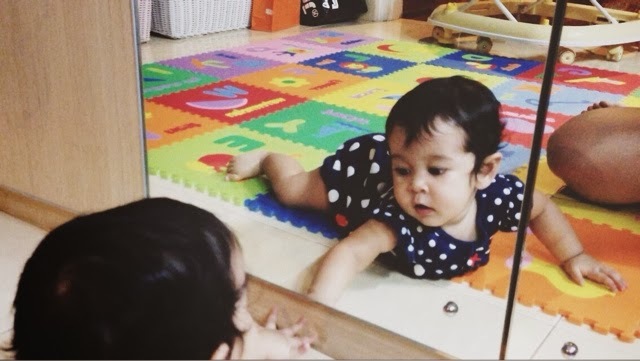 Diz baby thinks the mechanics of moving a giant mirrors is fun and mesmerizing whereas I think it's an injury is waiting to happen. I had to get stern with her but disciplining a baby is so tricky. I don't want to shame her or make her feel bad but I don't want to send the message that the closet is something we play with. I'm relying on "NO, NO, NO," words on repeat and a serious glare and distraction tactics for now but I have a feeling this closet battle is FAR FROM OVER!